It's been just over a month since the release of our new edition of Terry Teo and the Gunrunners, and the reviews are starting to roll in! There was a fine review from Angela Oliver over at The NZ Booksellers Blog, describing Terry Teo as, "jolly good nostalgic fun, with a distinctly kiwi flavour". You can read the full review HERE. Children's and Young Adult book reviewer Bob Docherty also recommended the new edition on his blog, Bob's Books, siting that it has "appeal for reluctant readers and is certain to win fans at primary and intermediate schools all over again". You can read the review HERE. 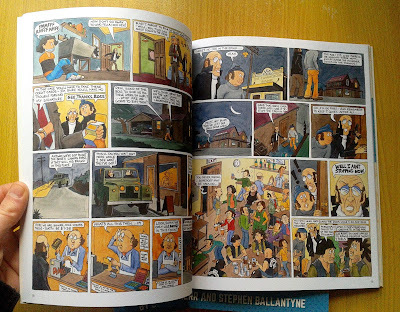 On National Radio, Terry Teo artist Bob Kerr talked to Wallace Chapman about the return of Terry Teo in print and to the small screen HERE, and John McIntyre from The Children's Bookshop in Wellington also discussed it on his Book Review show HERE. Ant Sang has also been on the promotion trail of late, to celebrate the release of the US/UK edition of The Dharma Punks. 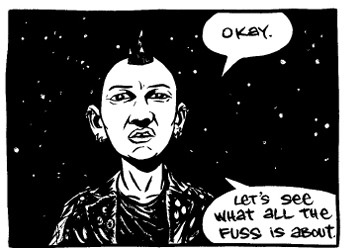 You can listen to Ant discussing his career and the creation of The Dharma Punks on the great indie comics podcast, Inkstuds HERE. There's also been a bunch on new reviews from: The Peak, Vermicious, and the Comics Alternative podcast reviews it HERE. But don't take their word for it, head out to your local bookstore (or our online shop) and pick up a copy of these books for yourself and discover what all the fuss is about!